A Shropshire school’s Christmas play could be taken from the school hall to millions of TV screens across the UK after being named as a finalist in Virgin TV’s Christmas Stars competition. Sheriffhales Primary School entered their original play into the competition and it has been shortlisted as a finalist. This means the play could be professionally filmed and made available to four million Virgin TV customers in the days leading up to Christmas. 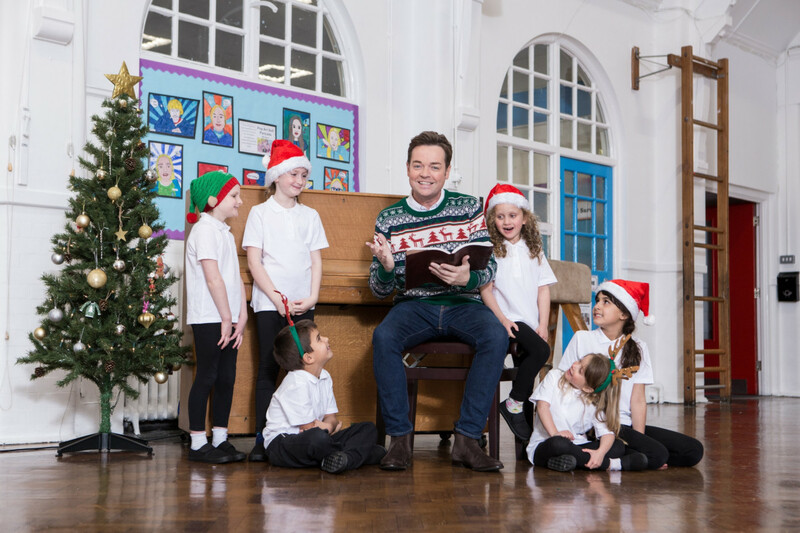 As part of the money-can’t-buy-prize, the winners will work with popular TV entertainer, Stephen Mulhern, who will join the school’s cast playing the role of narrator for a one-off performance. The winning school will receive £5,000, while a runner up will be awarded £1,000. Twenty two schools will also be awarded £100 for reaching the final stage of the competition. In response to the competition entry question, “Why should your Christmas play be made available to four million Virgin TV customers this Christmas?”, the school entered a heartfelt nativity play which is due to take place in the village church. “Children choose their own parts, even if that means there are six Marys and a rabbit. All pupils take part. “A huge congratulations to Sheriffhales Primary School for reaching the final stage of our magical Christmas Stars competition. “Their production has the perfect ingredients for a feel-good festive play which could be enjoyed by millions of Virgin TV customers this Christmas. A panel of judges comprising of members of Virgin Media’s Executive Committee, Stephen Mulhern, and Lisa Prime, BAFTA Children’s Events Programmer, will preside over the shortlist and select the winner and runner up. Virgin Media will then film the school’s production and make it available, on-demand, to millions of Virgin TV customers this Christmas.